(Reuters) - Dell Technologies Inc will ask holders of "tracking stock" tied to its software company VMware Inc to vote on its $21.7 billion cash-and-stock offer to buy it back from them on Dec. 11, according to people familiar with the matter. The move sets Dell on a collision course with some investors opposing the offer, including billionaire Carl Icahn, who owns 8.3 percent of the tracking stock. Icahn argued in an open letter to other investors this week that the deal would unfairly give $11 billion in value to Dell's controlling shareholders, founder Michael Dell and private equity firm Silver Lake. The security "tracks," or depends on, the financial performance of VMware, and has been trading at a discount of more than 35 percent to VMware's stock, which is steeper than what investment bankers advised Dell it initially would be. This has emboldened investors such as Icahn to argue that Dell's offer undervalues the tracking stock. Dell is offering $109 in cash for each tracking share, up to $9 billion in total, with the remainder payable with 1.3665 shares of Dell's Class C common stock for each tracking share. That is equivalent to a 41/59 cash-stock split. Following the deal, investors who owned the tracking stock would collectively account for between 20.8 percent and 31 percent of Dell's ownership. Icahn said this week that, based on his calculations, the tracking stock should be worth about $144 per share, and that Dell's offer is actually worth only $94 per share, because, in his view, Dell is inflating the value of its own privately held shares. The tracking stock ended trading on Thursday at $94.49. Other investors that have opposed the tracking stock deal include P. Schoenfeld Asset Management LP, which earlier this month asked Dell to raise its offer by 20 percent. 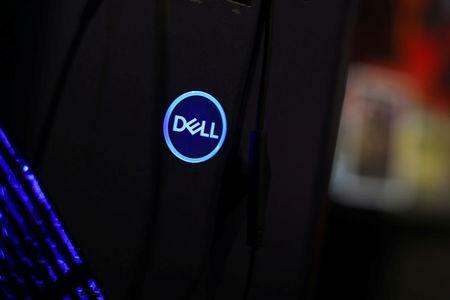 Hedge fund Elliott Management Corp is also not satisfied with Dell's offer, sources have said. As a public company, Dell could also more easily use its stock as currency for acquisitions. While its debt has dropped from $57.3 billion following the EMC deal to $50.3 billion, it remains heavily indebted. The company continues to pay down debt and has told investors it aims for an investment-grade rating sometime next year.